The gas giant Saturn is the farthest planet from Earth visible to the naked human eye, but it is only through a telescope that the planet's rings can be seen. Saturn is comprised of both a sphere and its two dimensional counterpart the circle or disk: the object intersected and surrounded by the plane, a sculpture in relation to a painting. 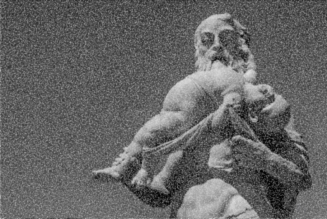 The pagan deity Saturn castrated his father with a stone sickle and devoured his own children. Leader of the Titans, he presided over a pre-civilisation golden age through magical uncanny power - a monstrous proto-Freudian figure, chillingly evoked in Goya’s famous painting. 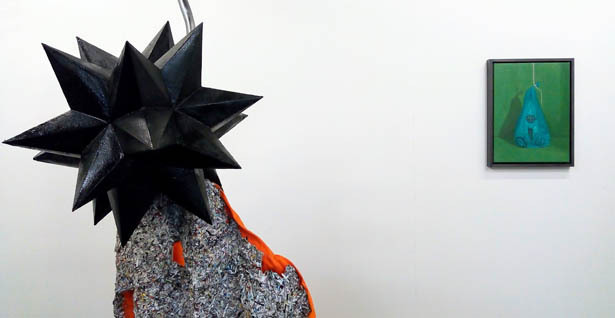 These references provide a framework for two artists to bring their practices together. Painting, represented in Hulson’s tense pictorialism, will confront sculpture, in Schady’s queer-pop bricolage: the circle slicing through the sphere. Both artists adopt a medium-specific approach but disregard any programmatic orthodoxy about those media. Put together they evoke the spirit of Saturnalia, harnessing black humour and the grotesque with playful malevolence. Sculpture will consider painting and vice versa and both will devour the other. 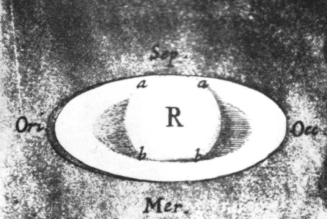 In the infinite time of the universe, the sphere and the circle are eternally bound in the figure of Saturn.